"Gravity is a powerful force for a safe livelihood on earth. Organizational Gravity is a terrible force for growth and innovation." The Innovator’s Tool Kit for Innovation Execution by The DeSai Group for CDP facilitation includes tools specifically for evaluation such as The Innovation Readiness Assessment and Innovation Styles Assessment. There are over 15 categories of tools containing 50+ actual tools your innovators and facilitators can use for each step of the Challenge Development Process to identify, evaluate, refine and implement. For: Group Meeting Facilitators, Project Managers, Business Analysts, Team Leaders, Managers, Faculty, Professional Facilitators, and Executives. This workshop focuses on the critical skills associated with eliciting and developing creative response for innovation, including selecting appropriate team problem solving activities, leveraging strengths and compensating for challenges, designing breakouts and reporting results. The DeSai Group methodology helps you find and harvest the great ideas already happening inside your organization, 75-80% of which occur outside of planned organizational activity. ANSWER: “YES.” There is a process, which followed correctly can successfully support and drive innovation results. Our process is simple and can be adapted and customized to the many challenges you seek to address and solve in your organization. The principles remain the same, but the implementation is geared towards the plan we help you develop. DeSai's Challenge Development Process (CDP) allows individuals and teams to begin to apply Innovation Tools and principles to any size business challenge. The key is linking your business strategy to your innovation strategy using a disciplined and organized process to put your organization on the right path. A playbook or roadmap is developed based on that strategy. The execution is structured and implemented from your playbook. It is important in an organization’s Challenge Development Process to see that it is not a problem solving process or customer solution process alone. CDP is an innovation development process that can stand alone or be integrated within your other current processes as well. 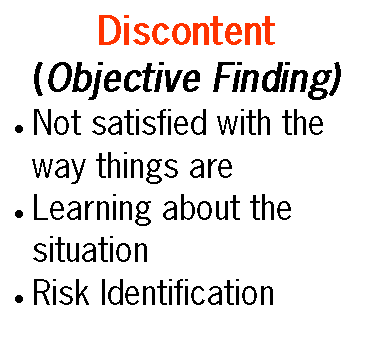 Discontent - Objective Finding; assuring a link to your business strategies. 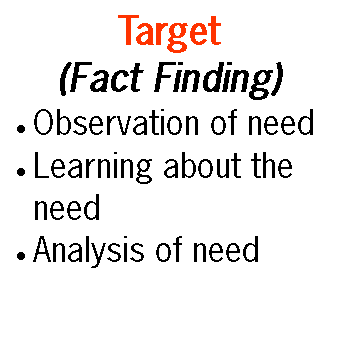 Targeting - Fact finding; assuring clarity on unmet needs and choosing focus areas worthy of development. 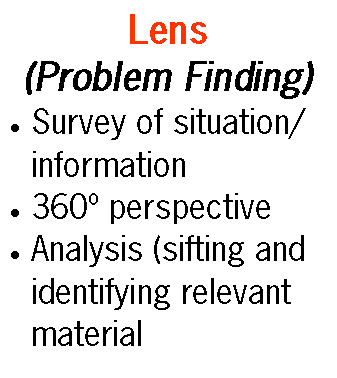 Lensing - Problem finding; analyzing and clarifying relevant issues from all stakeholder perspectives. This allows clarity of the nature of the problem and the scope of the desired solution. 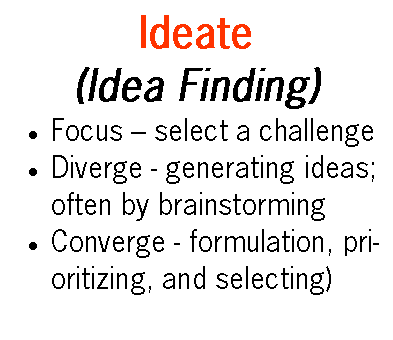 Ideating - Idea finding; using a variety of diverge and converge tools to find and select worthy ideas to pursue. 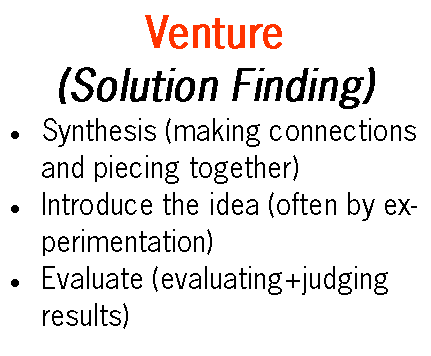 Venturing - Solution finding; selection and rapid prototyping, leading to final implementation and launch. CDP is an organized methodology that allows for a logical progression in a repeatable format while accessing and harvesting the creative ideas within your organization.